500 new shops are intended to be opened by 2020 it means 500 new homes will come up for the homeless. to organise the poor shelter homes. more profits will be kept apart for charity works. along with this to become the global leader in the world of jewellery. create more opportunities for the youth, involve them, bring them up in life. homeless” these words of Boby form the basis of company philosophy. 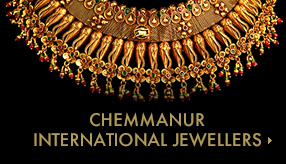 Sustain the name already made in International circle; bring more new models of jewllery into the Indian market.